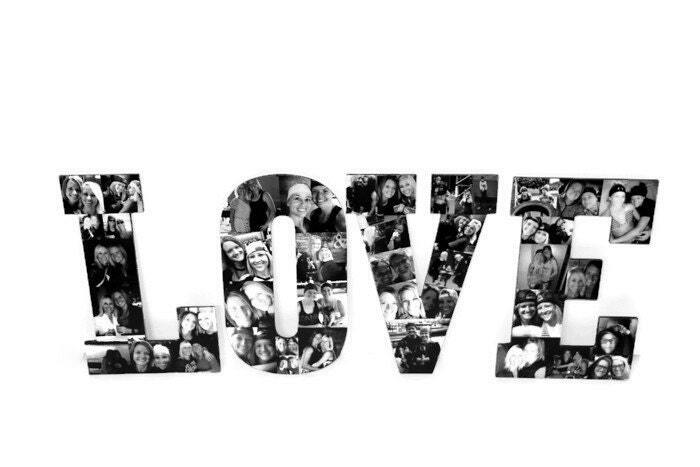 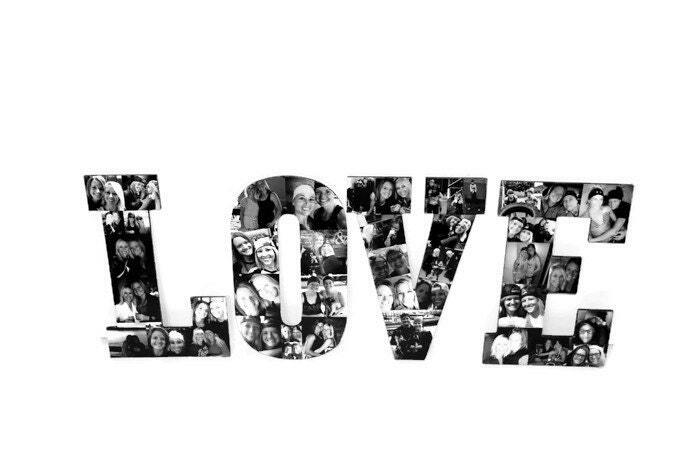 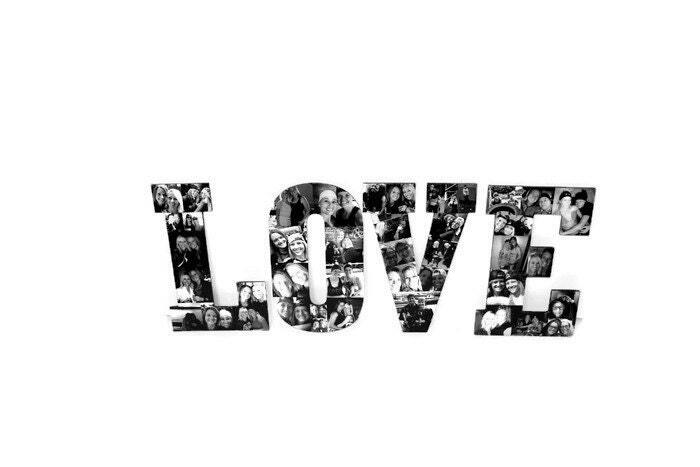 13.5" Photo Collage Letters spelling the word LOVE or choose the 18" LOVE in the drop down menu at checkout. *13.5” letters requires between 10-15 photos each so for the word love you will need about 40-60 photos. 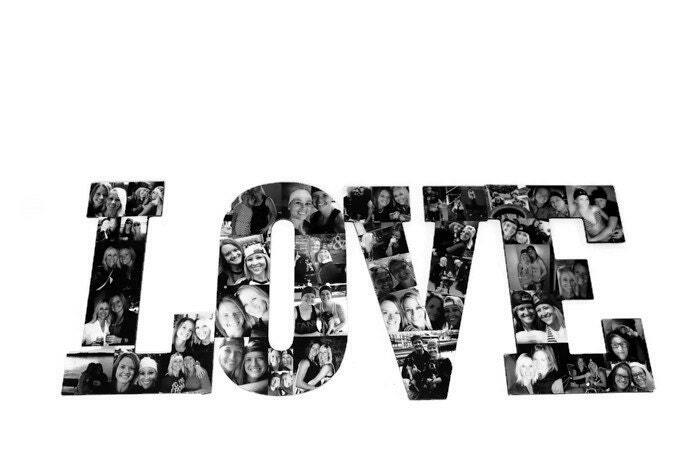 The 18" LOVE holds about 100-120 photos.